Host an unforgettable private event at one of Tahoe Donner’s venues, available for groups of 30 to 240. With the forest as your backdrop, your meeting, wedding, rehearsal dinner, meet-and-greet or other affair is more than just a spectacular event – it’s an experience. Tucked away among majestic pines in the Northern Sierra Nevada, Tahoe Donner events are exceptional in that they encourage attendees to breathe in the fresh forest air, gaze at the evening stars and experience the calm and peacefulness that nature effortlessly provides. With indoor and outdoor venues of various sizes available, you will have no trouble finding the perfect setting for your unique occasion. Our customizable and flexible packages can be tailored especially to your needs. From tents and twinkle lights on the golf course to an intimate gathering in the grotto, Tahoe Donner is happy to accommodate. Located only 22 miles from Lake Tahoe and just above Historic Downtown Truckee, escape to Tahoe Donner and invite your guests to an experience they will never forget. Meetings, Retreats, Weddings, Rehearsal Events, Bridal and Baby Showers and More. 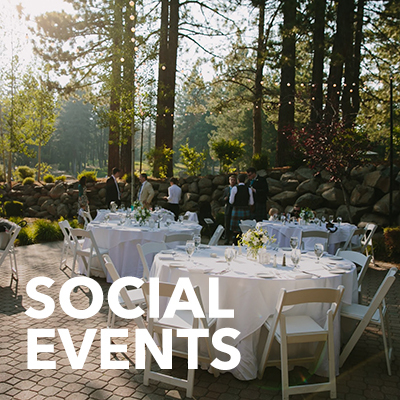 Tahoe Donner is the perfect place to host a family reunion, a birthday party, bridal and baby showers and other intimate occasions. 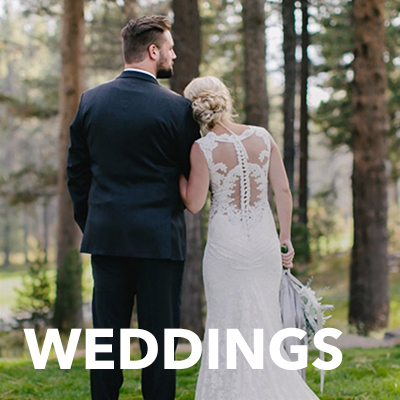 Say “I do” at one of our award-winning mountain venues. Packages are available in any season and can be adapted to create your dream wedding. 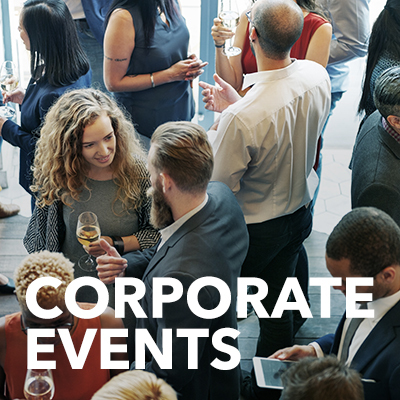 Corporate events and retreats are fully customizable and available at a variety of venues to suit your unique needs. Get inspired in the mountains. For more information, please contact Group Sales at 530-582-9643 or email at groupsales@tahoedonner.com.